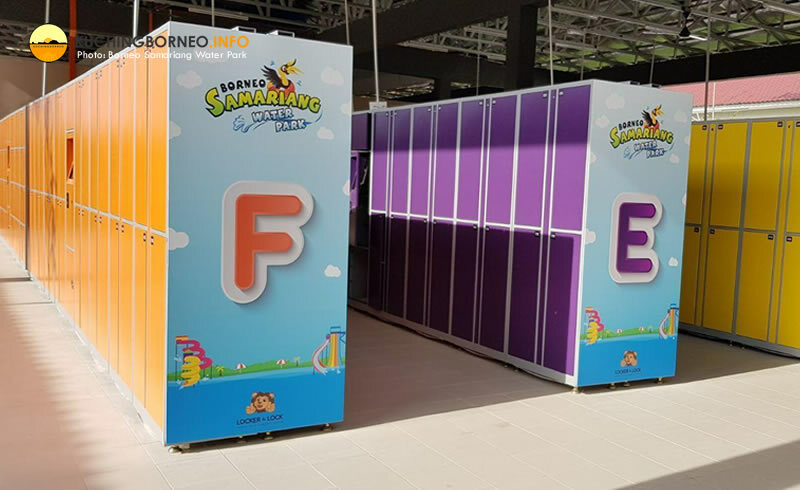 The Borneo Samariang Water Park opened it’s doors on 31 March 2018 with attractions keenly awaited by Sarawakians. Also known as the Kuching Water Park among locals, the man-made attraction is likely the best of its kind in Borneo island. 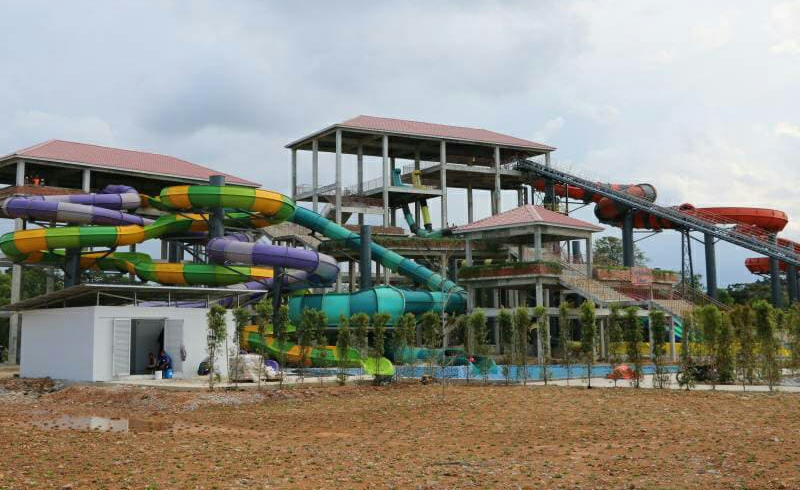 It is the biggest water park in Sarawak, and it is popular among locals since it opened its doors. If you are planning to go to this water park, here’s some information I’ve gathered which may help you. 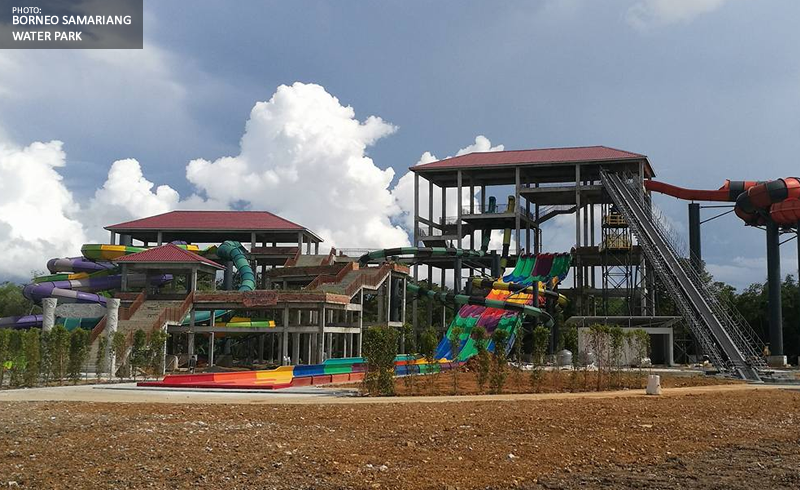 The water park is built on a 35-acre land, split into three major areas; the Water Park entrance, the Hornbill Island, the Salak Beach & Wavepool and the Santubong Tower, all of which surrounding an untouched patch of mangrove forest. This is a dedicated children’s area that houses attractions that is suitable to the whole family. 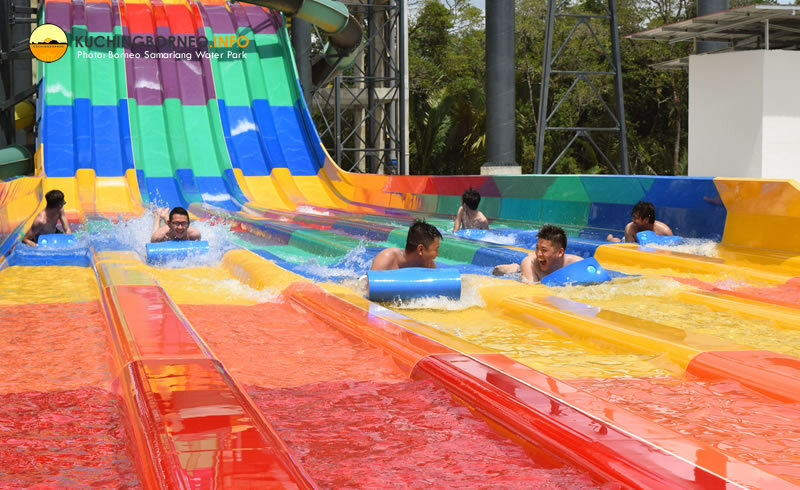 Among the attractions are the Aqua Play, the Leisure Pool, the Mount Mulu Clear Water River and the Kid’s Slides. Hornbill Island is popular among families. There’s an eatery catered for this area that is located at Hornbill Pavilion and it is called Pizza Time. The menu at Pizza Time includes a variety of fast food items. Santubong Tower stands at six-storey high and is the peak of the water park. rides and the non-tube rides. Tube rides require the use of a rented tube to play and the rides available are the Galaxy Slide, the Canopy Slide and the Crystal Slide. The non-tube rides are rides can be played without the use of any rental tubes. Floats, if needed, are prepared for free at the ride stations. These rides available for non-tube rides are the 6 Lane Racers, the Sky Drop Slide and the Family Raft Ride. If you are looking for something closer to the beach, the Salak Beach Wave Pool is where you should go. It is a man-made beach covered in golden sands that imitate the ambiance of a seaside beach. There are 20 cabanas to be rented in the area, centered by a dining area named Salak Pavilion that is facing the Salak Wave Pool. 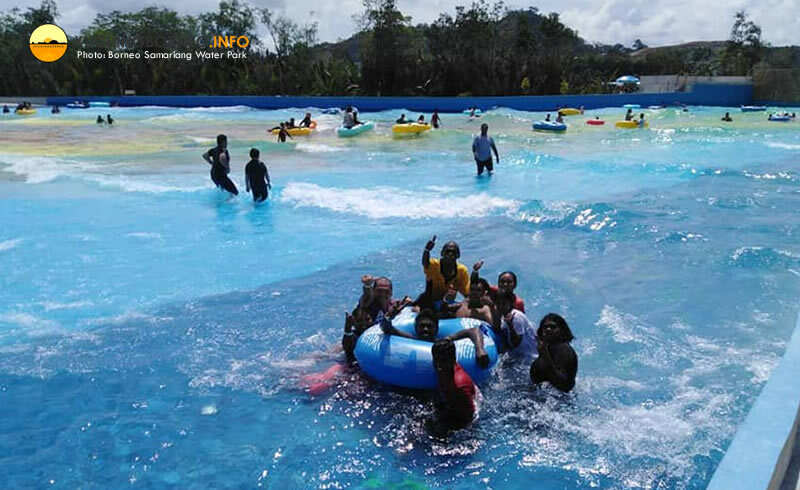 The main attraction on the Salak Beach is its wave pool that covers an area of 43,600 square feet that renders eight waves of various formations, namely the Diamond Wave, Parallel Wave, V-Wave and etc. 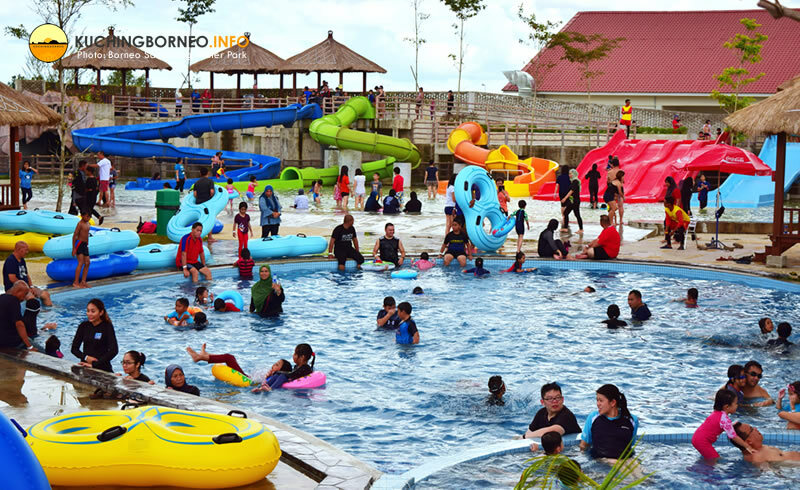 Like any other water park in the world, there’s a fee to enter the Borneo Samariang Water Park. I’ve been to several water parks in the region and I have to say that Borneo Samariang charges the lowest so far for entry. Exchange rate is correct with USD1 = RM4.15. If you want the latest exchange rates, go to the link below. For children below 12 years of age, as well senior citizens, proof of age will be required, especially if the child doesn’t look like he or she is younger than 12, or he or she doesn’t look above 59 to be considered a senior citizen. For now, there’s no way to book tickets online. You can only buy the tickets at the door. The entrance fee is not the only payable fee at the water park. There are several other items and services also for rent within the water park for your convenience. The management of the park requires RM10 for every item borrowed. This deposit would be returned upon check-out if the items are returned in good condition. 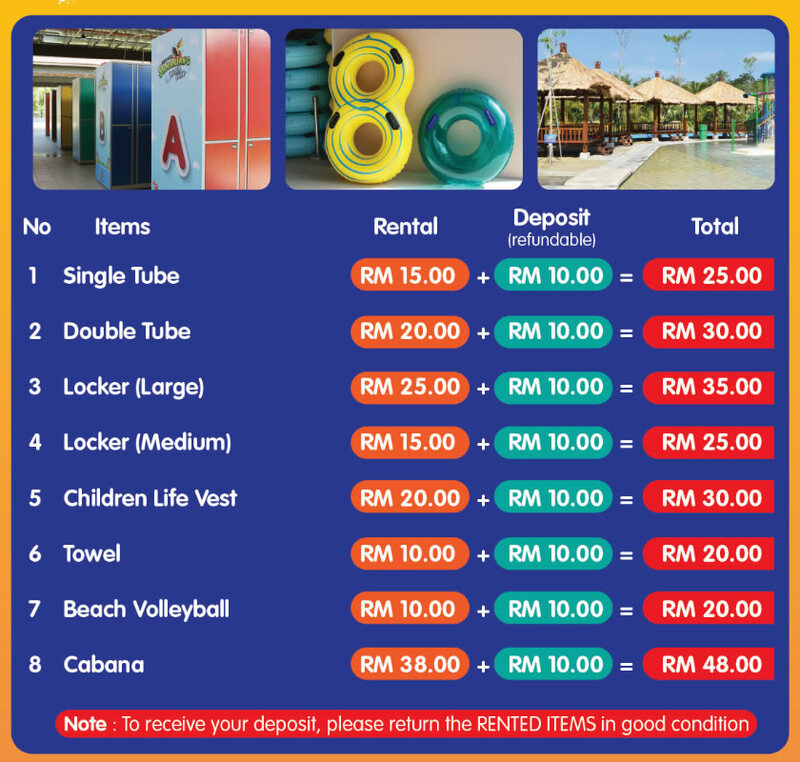 Renting a locker in my opinion is a must and the water park management charges a RM15 for a medium locker with a RM10 deposit. A larger locker is priced RM25 excluding RM10 deposit. 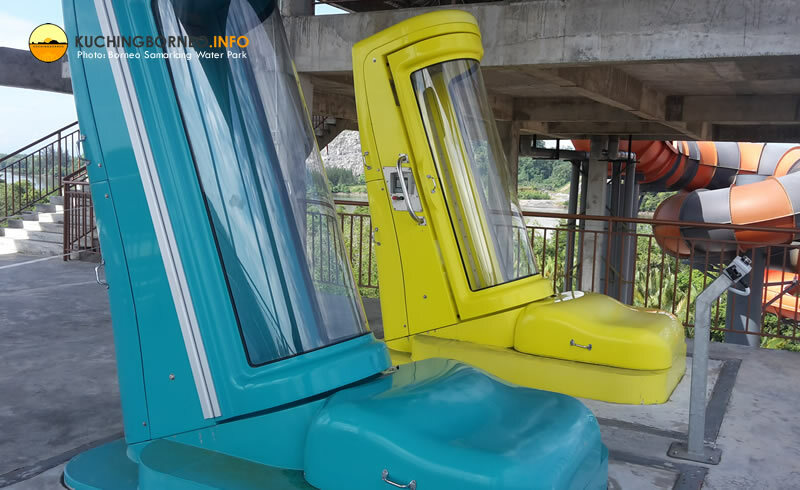 If you plan to go on the tube rides at the Santubong Tower, you need to rent either the single tube (RM15) or double tube (RM20). The rates for other items can be seen below. The water park also provides special rates for groups and corporate guest. These rates come with extra options which are chargeable. The special rates can be obtained by contacting the management directly. 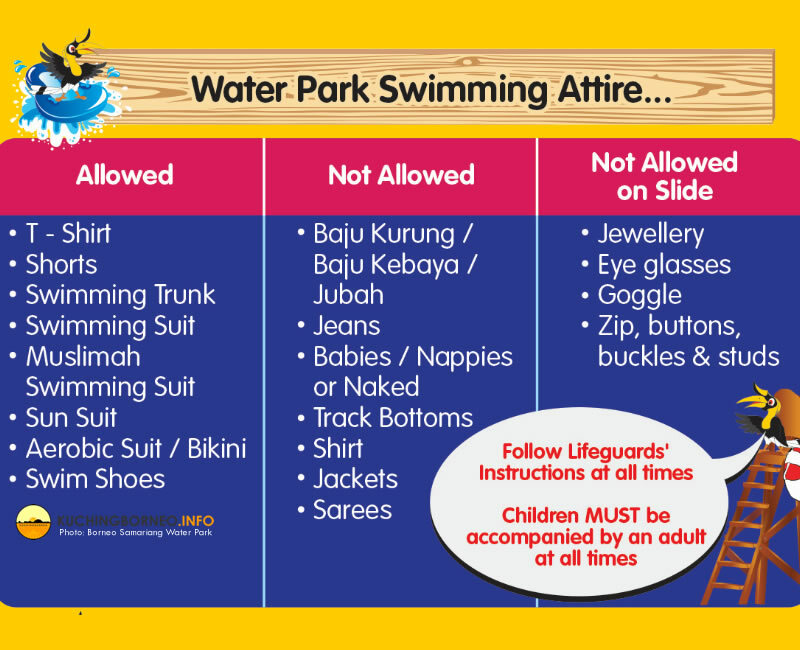 Borneo Samariang Water Park is enforcing strict dress code for guest. According to their brochure, t-shirt, shorts and swimming attire/suit (both Muslimah swimming suits as well) are allowed to be used in the pools. Also allowed are sun suit, bikinis, swim shoes and swimming trunks. If you intend to play in the slides, please note that eye wear such as sunglasses and google are not allowed in the slides. Other forbidden items in the slides include jewelry, buckles and studs. These items can be used in the pools. Other type of dressings which are not mentioned above are forbidden in the pool and slides, so do dress and pack accordingly. A summary of what’s allowed and not can be seen below. WHERE IS THE WATER PARK? 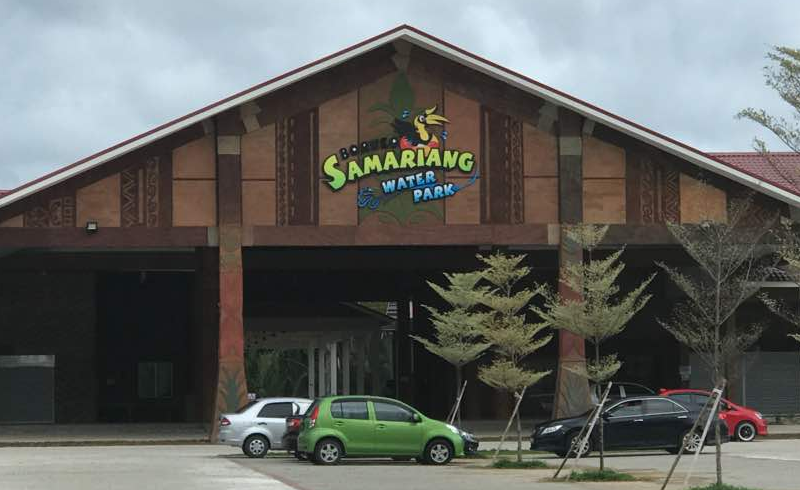 In case you are wondering, Borneo Samariang Water Park is located within the Samariang Resort City which is a development spanning some 500 acres in Kuching Division, Sarawak. The Water Park sits nearby many residential area, and an up-coming and thriving commercial area. The map below would give you a better idea of where Borneo Samariang Water Park is located. Getting to the Borneo Samariang Water Park is slightly complicated as the Borneo Samariang Water Park is located far from Kuching City, hence my advice that you take a cab, or hire ride sharing drivers in Kuching from Grab. I am personally not aware of any public transportation aside from taxis and tour buses heading to the water park, so booking a private driver is your best option. But if you own a driving license, and you are adventurous, you can choose to rent a car in Kuching as rates are pretty much very cheap. 9AM to 6PM on Saturday, Sunday, school and public holidays. Closed on Tuesday EXCEPT if its a Malaysian school holiday or public holiday. During these days, they are open from 9AM to 6PM. Borneo Samariang Water Park is definitely a nice addition to Kuching which is an emerging tourist destination in Asia, and I can see locals like myself also spending countless times here with our families. However, if you aren’t in Kuching to play with water, a hiking trip up Mount Singai might interest you if you are adventurous, or visiting some of many Kuching malls would be perfect for those wanting to shop. When you are hungry, eating exotic Dayak food is usually the best way to enjoy Kuching, but don’t forget that Kuching also offers some of the best seafood options in Malaysia as prices are low, and the seafood is fresh. 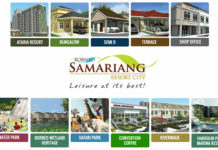 Note: All photos used in this post are from Borneo Samariang Resort City, unless stated. Updated on 24 April 2019.